Haunted Hotel Stays for you to explore! Since 1837, travelers and visitors to San Antonio have often found one of the nicest and most convenient hotels in the city to be located at a particular corner about 100 yards from the bank of the river. Over the years, this establishment has had many different names, occupied successively larger and more elaborate buildings, been controlled by the armies of four nations, and collectively contributed to a fascinating and colorful history. One of those colors, however, has been that of blood, and gruesome events have occurred at the hotel, leading to its reputation as a venue for hauntings and paranormal activity. 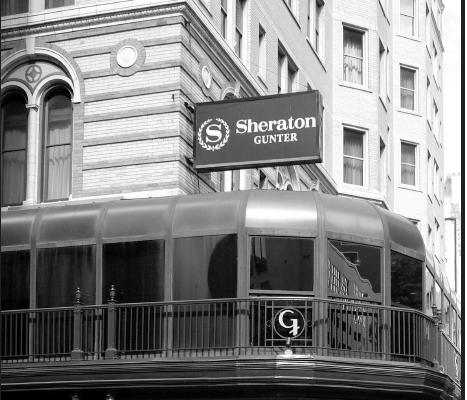 The Sheraton Gunter Hotel retains its role as a unique part of San Antonio’s rich and multifaceted heritage. 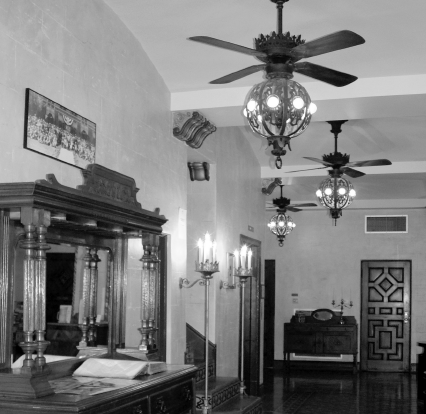 It also remains, with good reason, one of the most haunted hotels in the Alamo city. To book a stay visit their website. Over the past few decades, the Faust Hotel has increasingly gained a widespread reputation for being haunted and has attracted the attention of various paranormal investigative groups. I have visited the hotel a number of times since 2009 and, among other things, have spent the night there, conducted investigations on or around Halloween twice, and appeared as a guest on the PSI-FI Radio show while there. It has, in fact, become one of my favorite sites in the Greater San Antonio area, not just for the strange things associated with it but also for its colorful history. The Faust is indeed haunted, of that I am sure. Visit it next time you are passing through New Braunfels, have a microbrew beer made on the premises in its taproom, ride up and down the elevator a few times, and, if you can, spend the night and see if you experience anything for yourself. Ready to do your own investigation? Here is the website of the Faust Hotel. 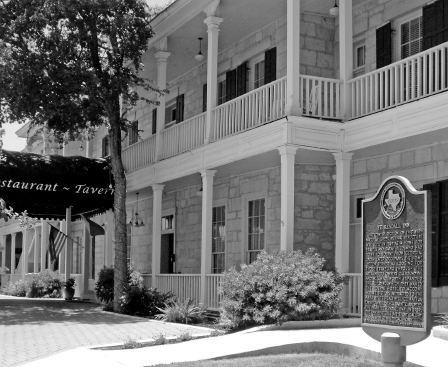 One of the most impressive and welcoming of the many haunted establishments that can be found throughout the Hill Country is, without a doubt, Ye Kendall Inn, the sprawling hotel, restaurant, and event complex that dominates the main square in the town of Boerne. Ye Kendall Inn is well known in the local area for being haunted, and I was well aware of its reputation before visiting it for the first time. With a colorful history and so many people passing through its doors, dwelling in its rooms, and experiencing the full range of human emotions within its walls, it is perhaps not surprising that Ye Kendall Inn would have a reputation for being haunted and have so much ghostly lore associated with it. That being the case, I was almost surprised that no anomalies turned up in any of my photos or audio recordings and that I did not experience anything that might be interpreted as supernatural in origin. I was not, however, disappointed, because it is not reasonable to expect spirits to perform on demand or reveal their presence during the short piece of eternity in which a living person is visiting their haunt. And I did very much enjoy the ambience, history, and hospitality of the place during the few hours that I spent exploring its halls, public areas, and guestrooms. I was left looking forward to my next visit and a more detailed investigation of Ye Kendall Inn. To book a stay at Ye Kendall Inn, visit their website, and make sure to report back any ghostly sightings to the author. In Michael’s book Ghosthunting San Antonio, Austin, and Texas Hill Country, you can read the complete history and ghost stories for these three hotels. The stories are part of 27 haunted sites thoroughly researched and covered.